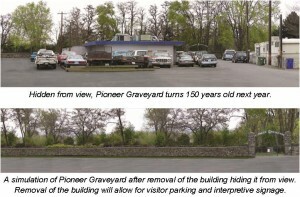 Take time to visit the historic Pioneer Graveyard now before the building is torn down. 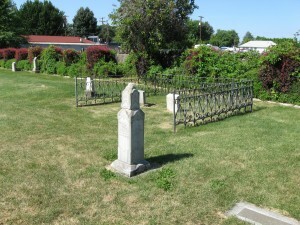 Pioneer Graveyard is located one block east of Main Street on Ahtanum Road. 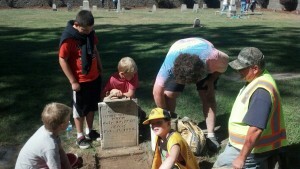 Union Gap is working with the Yakima Valley Museum to create interpretive panels to help visitors learn the history of this early graveyard. The panels will be installed in time for a commemorative celebration to be scheduled next year during the 150th anniversary of the graveyard – watch for details in future issues of the City newsletter. 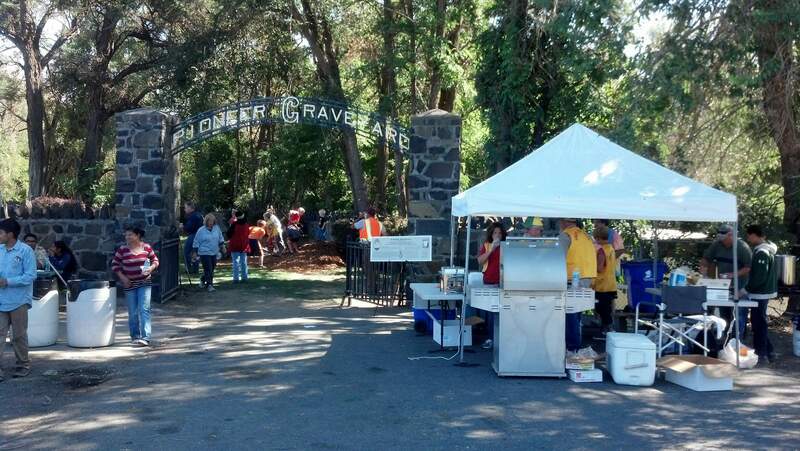 On Saturday, September 13, 2014 a service project at the historical Pioneer Graveyard took place. 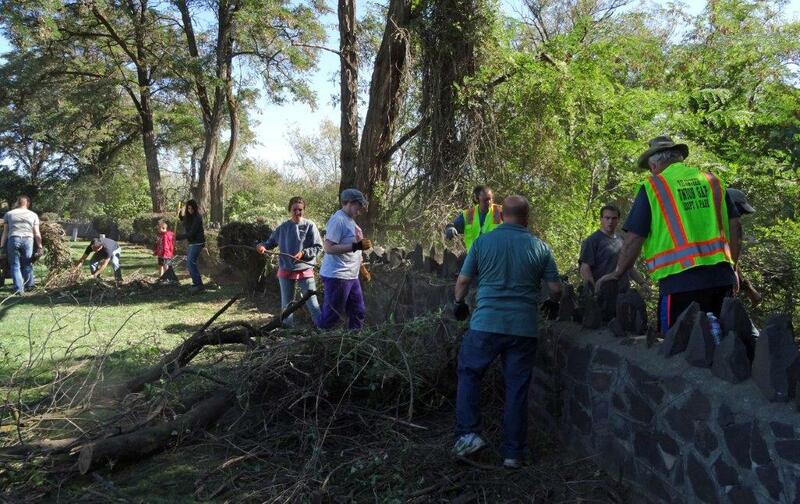 The project included: removal of vegetation and small trees along the graveyard’s outer circumference, removal of overgrown ivy, blackberry vines, old landscape timbers and spikes, as well as shrub bed improvement and general trash and vegetation pickup. 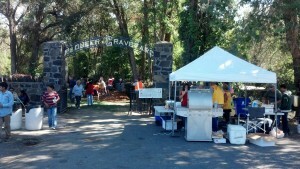 Thank you to all the great volunteers from the Second and Third Ward Churches of Latter Day Saints, Cub Scout Pack, Boy Scout Troop 131, Union Gap Lions Club, Citizens, and City employees for helping to maintain the 150 year old historic graveyard; 126 volunteers donated a total of 612 hours to this important project. Mayor Roger Wentz and crew repairing a headstone. Volunteers from the Second and Third Ward Churches of Latter Day Saints clean up the graveyard. Union Gap Lions Club provided hot dogs, chips and drinks to all of the helpful participants. 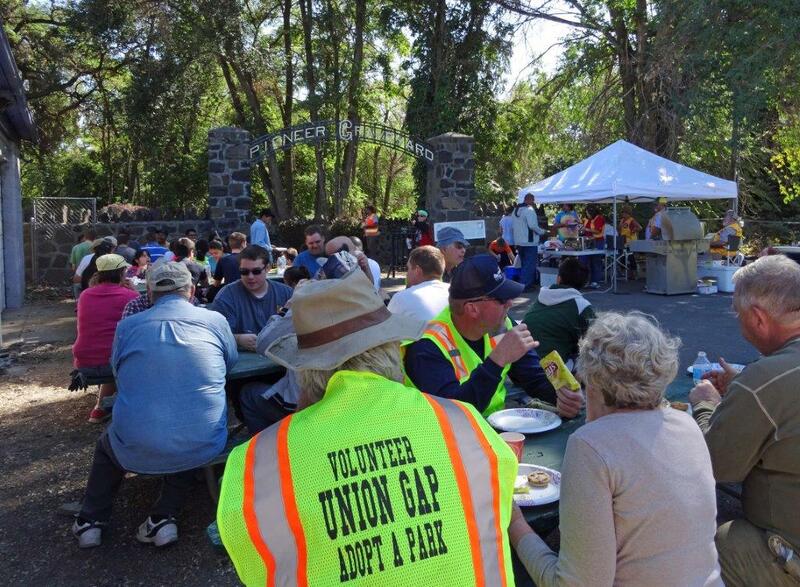 Volunteers take a break for lunch before going back to work on the project.